Trinity Lutheran School offers a wide variety of activity for its students. Students in the 5th - 8th grade are able to participate on Trinity Athletic teams. Trinity has co-ed soccer and girls volleyball in the fall, and offers girls and boys basketball and cheerleading in the winter. Students are also able to participate on Janesville Waldorf Pemberton (JWP) sports teams if Trinity does not offer a sport. Students participate in football in the fall and golf and track in the spring for JWP. 5th and 6th grade students also can be involved in our crossing guard program before and after school. All students participate in one of three Trinity choirs and 5th, 6th, 7th and 8th grade students can participate in Band with the JWP school. Students at Trinity Lutheran School participate in one of three choirs. Our preschool - 2nd grade choir by Mrs. Jill Wulf. Our 3rd - 5th grade choir is directed by Mrs. Sheryl Williams. Our 6th - 8th grade choir is under the direction of Mrs. Kristen Leiding. The choirs sing at various church services at Trinity Lutheran Church and at our School Christmas Service. They also sing for various groups in the church and community. Music is a very important part of a students education at TLS. Students are given many opportunities to use their talents to give glory to God. Students sing in choirs at church services, church groups and in the community. Students also have the opportunity to play musical instruments. Kindergarten, 1st and 2nd grade students play bells as part of the bell choir. 3rd grade students learn to play the recorder. 5th, 6th, 7th and 8th grade students have the opportunity to play in the band at JWP. God gives us many talents and abilities and students at TLS get the opportunity to explore their musical talents. Trinity students have many opportunities to perform plays during the school year. Every other year the 3rd - 5th grade students perform a musical. 8th grade students are given opportunities to participate in skits during chapel. All of our classes perform a short drama for parents and friends during the school year. Trinity Lutheran School Cardinals sponsor teams in many sports. 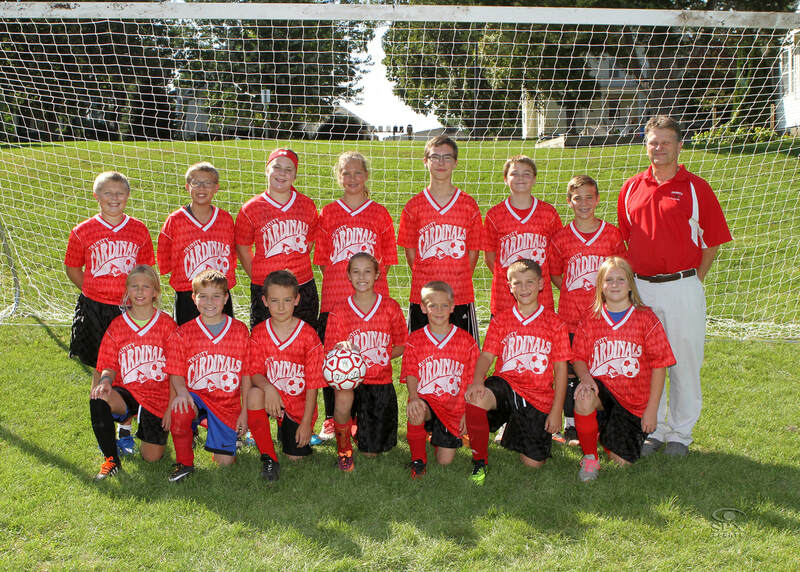 In the fall, Trinity has a co-ed soccer team for 5th - 8th grade students. They also have two volleyball teams, one for 5th and 6th grade girls and one for 7th and 8th grade girls. Winter sports include four basketball teams and a cheerleading team. Trinity has two A squad basketball teams (girls and boys team) and two B squad basketball teams (girls and boys team). A squad is made up of 7th and 8th grade students. B squad includes 5th and 6th grade students. Trinity plays area Lutheran and Christian schools. They host their own A squad basketball tournament. Trinity also participates in at least one other tournament for each sports team.